Extracted from the flower buds of coconut palm trees, coconut sugar is an unrefined brown sugar with a delicately sweet caramel flavour. Due to minimal processing it retains many of its vitamins and minerals including potassium, zinc, iron and B vitamins. Coconut sugar is a great choice for cooks as it's so easy to substitute for regular sugar using a 1:1 ratio; experimenting with it as an ingredient is easy. A wonderfully richly flavoured alternative to cane sugar with a sweet caramel flavour. Use as a direct replacement for cane sugar in baking and drinks. It's also especially good when used to sweeten raw chocolate recipes. 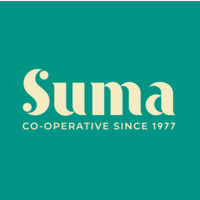 Visit www.suma.coop for delicious recipe inspiration using coconut sugar.